An out-of-town work trip lands me at a buffet lunch – on my own. I have nothing to do for the next couple of hours; the timing’s perfect for a long and leisurely lunch. I check out the buffet, fiddle with my smartphone for a bit. Send texts that can wait; call up friends I haven’t connected with in a while. I scarf down my entrée and look around. My table overlooks a pretty part of town, but I don’t really see that. Before getting to the main course, I wonder if I should get out my book or laptop. Should I ask the attendant to get me a copy of the newspaper? Wi-fi’s available, and I spend the rest of the time – till the cappuccino is placed in front of me – doing a bit of this and that. I’m readying for my next meeting, when the thought strikes me: Where was the leisure in my lunch? 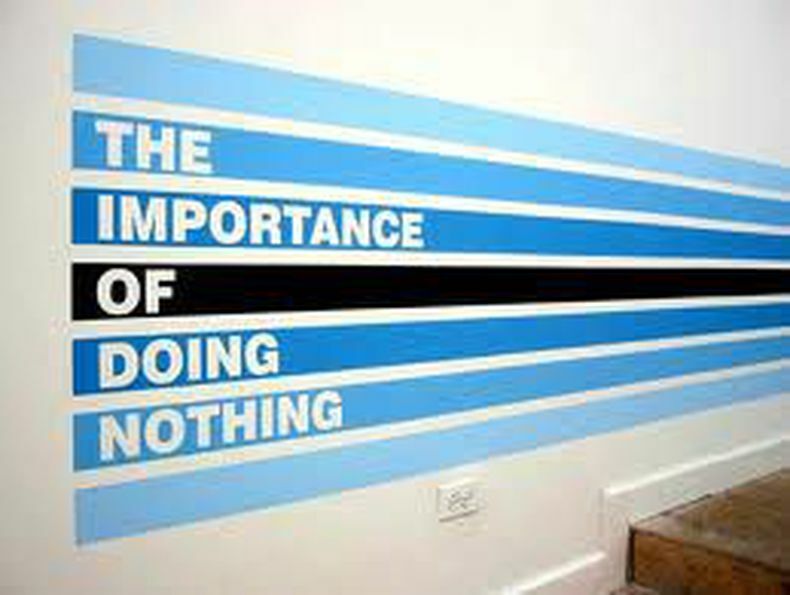 Like most people, I have forgotten the art of being on my own and doing nothing. We are so wired to doing something all the time that having nothing to do seems an oddity. Time at hand? Let me check my email, work on that new project, water the plants, plan tomorrow’s schedule, try a new recipe, get to work on my hobby, do something rather than nothing. In these busy times, when multi-tasking is the norm and busy is the only way to be, having nothing to do is daunting. As children, most of us could spend hours doing nothing. Me, my sister and a bunch of cousins spent every summer doing little. We would stare at the whirring fan, weave flowers and leaves into garlands, fashion utensils out of mud and water, plan imaginary trips and design dream houses. Doing nothing set our imagination free. I returned from the trip, having relearned a valuable childhood lesson. Sometimes, whiling away time is important. It may seem like a waste of time, but you are actually doing important things – thinking random thoughts, connecting the dots, spotting patterns and changing perspectives. That’s when you think about things you don’t normally focus on, dream impossible dreams, and explore unchartered waters.